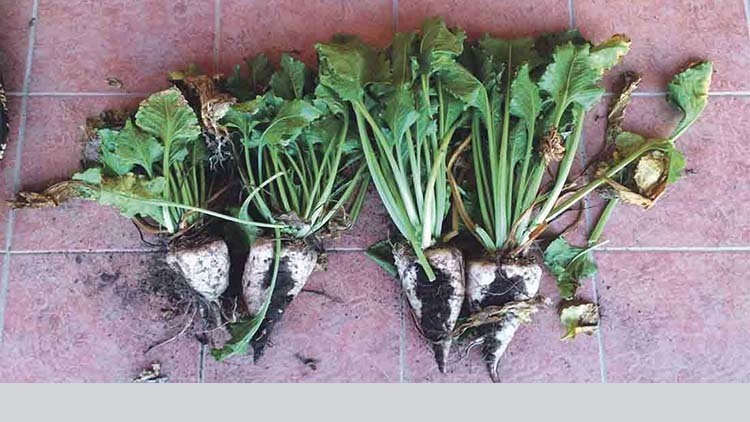 One sugar beet grower has seen positive results from growing oil radish to reduce beet cyst nematode (BCN) numbers on his sandy soils. 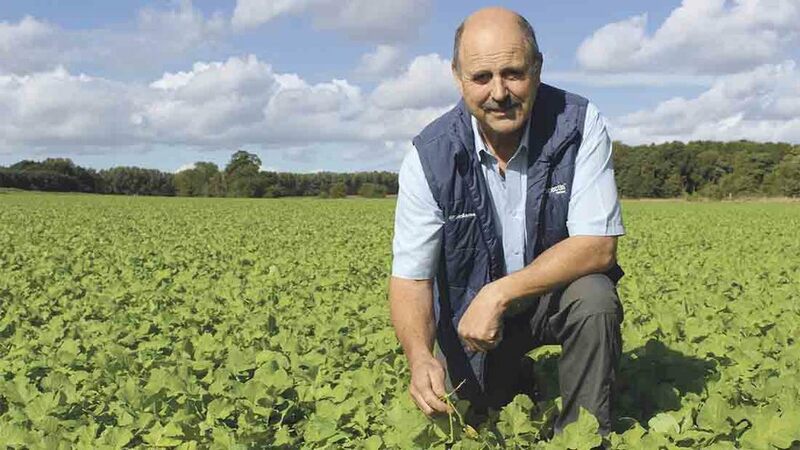 Norfolk grower Kevin Banham has seen significant reductions in BCN numbers where an oil radish cover crop was established prior to sugar beet planting. He believes soil organic matter levels and nutrient retention have also been increased. And sugar beet yields have improved by around 39 per cent where the oil radish cover crop was planted. The initial trial, conducted in the 2014/15 season, saw Mr Banham plant Dacapo oil radish in one half of a field, while the other half remained bare. Results concluded that the use of oil radish reduced BCN numbers by 64 per cent from 104 eggs per gram of soil to only 37. As well as the variation between plots below ground, there were also visible differences in the following sugar beet canopies, according to Mr Banham. Moreover, the size of the beet harvested was significantly greater where Dacapo had been planted, thus boosting overall crop yield from 58t/ha to 81t/ha, despite both plots receiving the same level of inputs. Paul Brown, Frontier seed development manager believes the BCN-reducing properties of Dacapo were primarily responsible for this yield improvement. “The sugar beet will have had some benefit from nitrogen capture and we have seen some benefit from increased organic matter, but I think the results we have seen here are due to BCN reduction." Frontier agronomist and regional sales manager, Andrew Melton believes the approach could both boost the profitability of growing sugar beet and also allow sugar beet to be grown where BCN populations are very high. “A lot of farms are suffering from sub-clinical BCN where they are losing five to 10 tonnes of sugar beet per hectare, but if they could regain that, it would make a significant difference to the crops gross margin. “But on some of the lighter soils in west Norfolk, BCN is at such high levels it is no longer financially viable to grow the crop, so this may allow farmers to grow sugar beet where they previously couldn’t, as part of a programmed approach,” says Mr Melton. The variety Dacapo had been selected because of its sugar beet-like properties, according to Mr Brown, making it ideal for lowering BCN numbers. 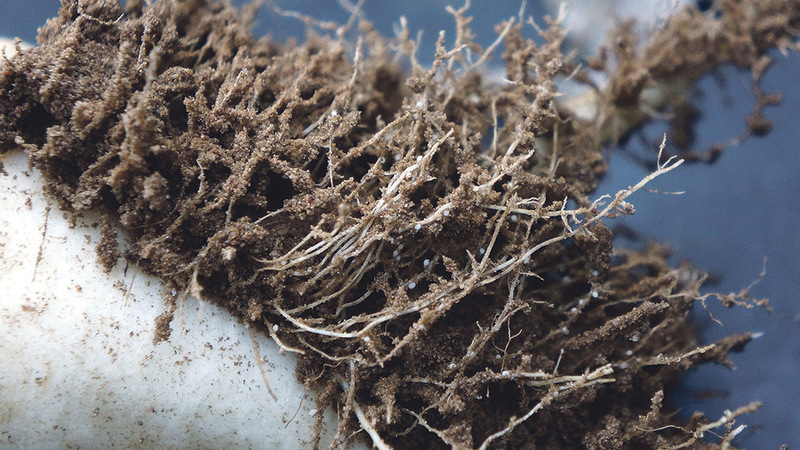 “As far as the BCN is concerned, it thinks the Dacapo is a sugar beet crop, so cysts hatch on the roots of the Dacapo and try to feed on the plant but they can’t because it hasn’t got the right physiology, so the BCN can’t complete its lifecycle,” he says. Because the system relies on cysts hatching on the roots of the cover crop, it is important to get good ground coverage. Early planting, preferably in August, is also beneficial. Providing the main objective is BCN reduction, he suggests a small nitrogen application of between 20 and 30kg to encourage rooting further. “Where people are wanting to focus on BCN reduction, we would encourage them to apply nitrogen in order to get a big root system quickly. Where growers are looking to meet Ecological Focus Area requirements by growing more than one cover crop species, Mr Brown recommends planting a cereal alongside the radish, but only at low levels.